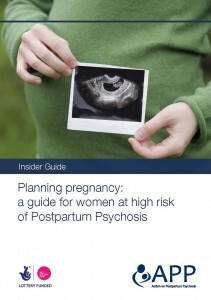 APP has produced a series of guides with the help of women who have experienced PP and their partners. If you have ideas for future insider guide titles, please get in touch. If you would like to order hard copies of these guides, email us at: info@app-network.org. Guides are free for individuals and small orders. 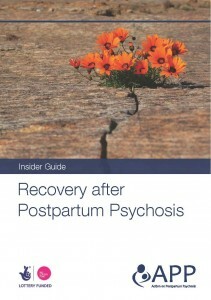 Mums who have recovered from Postpartum Psychosis gave us their tips for the first year of recovery and beyond. You can read more about the development of the guides by clicking here. 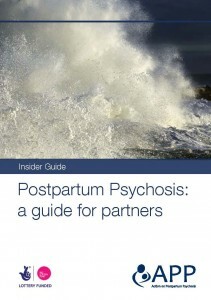 Postpartum Psychosis is a traumatic experience for both women and their partners. Dads talked to us about what they had wanted to know, and gave us their ideas for coping during admission, recovery and beyond. 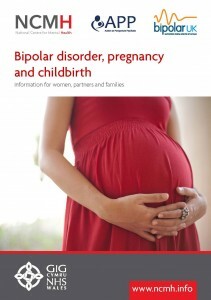 Women with Bipolar Disorder, or with experience of PP, told us about the issues they faced when planning for a baby. 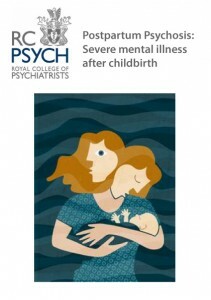 This guide brings together advice from professionals & families about getting the support you need in pregnancy & birth.